A 100-day standoff in 2007 led to much-panned seasons of shows from the current Golden Age. So-called “Peak TV” and its expansive array of series has been great for viewers, say Hollywood scribes, but not so much for writers. 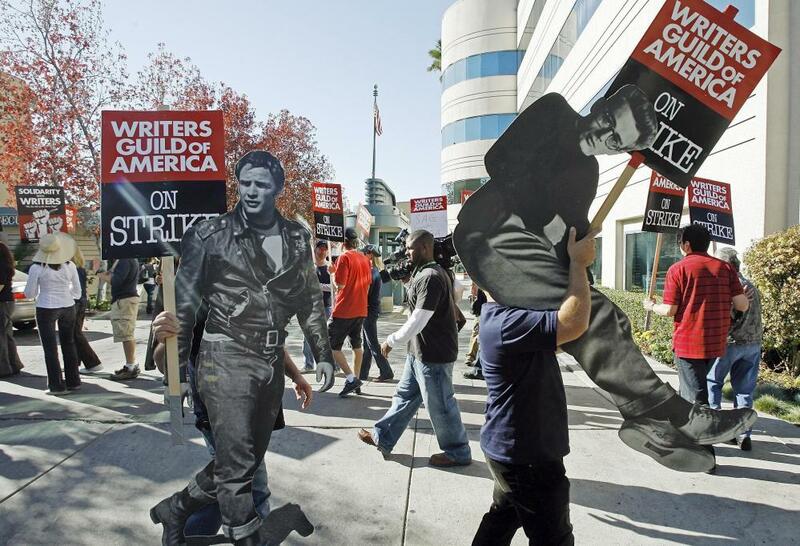 On Monday, the Writers Guild of America will resume negotiations over a new contract with the Alliance of Motion Picture and Television Producers, which represents broadcast and cable networks and movie studios. That there are more series than ever – 455 this season, more than double the number six years ago – may seem like a plus for TV writers. But those shows also run for fewer episodes than the traditional 22-24 episode broadcast series. Short seasons of 8, 10 or 12 episodes means less pay for writers whose payment is structured on a per-episode basis. Other significant bargaining points involve the writers’ health plan, script fees and residuals across cable and streaming platforms. According to the WGA – which numbers about 20,000 – median earnings for writers dropped between the 2013-14 season and 2015-16, and more and more writers are finding it difficult to make a living even in supposedly flush times. In a way, these negotiations, propelled by today’s TV landscape, are more straightforward and leave less to speculation. The producers in 1985 argued that VHS was a nascent technology and, in 2007, said that the digital realm was too young to grasp. “Peak TV,” however, is already here and no one doubts its effect on the industry.